Address cognitive skills like problem solving and sustained attention. A useful mnemonic and aid to promote socialization. Ideal for large groups. 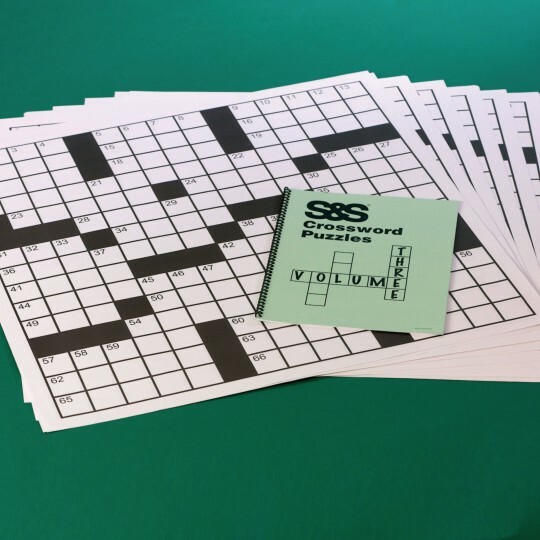 Each set includes thirty 2' x 2' grid sheets and one book of puzzle clues, with corresponding solutions in the back of the book. 67 words per puzzle. Set features puzzles of intermediate difficulty. The puzzles in the book can be reproduced as handouts. For Extra Crossword Grid Sheets, please see 16693. Great product! 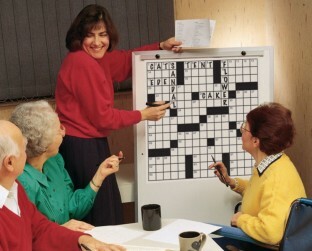 Our residents love when we put a new crossword puzzle up for them to do. Bought this for residents in an assisted living home and they love it! I will always buy this product! Great group activitiy! I have used his product in several facilities and always with great response.